A truly eye-catching offer! 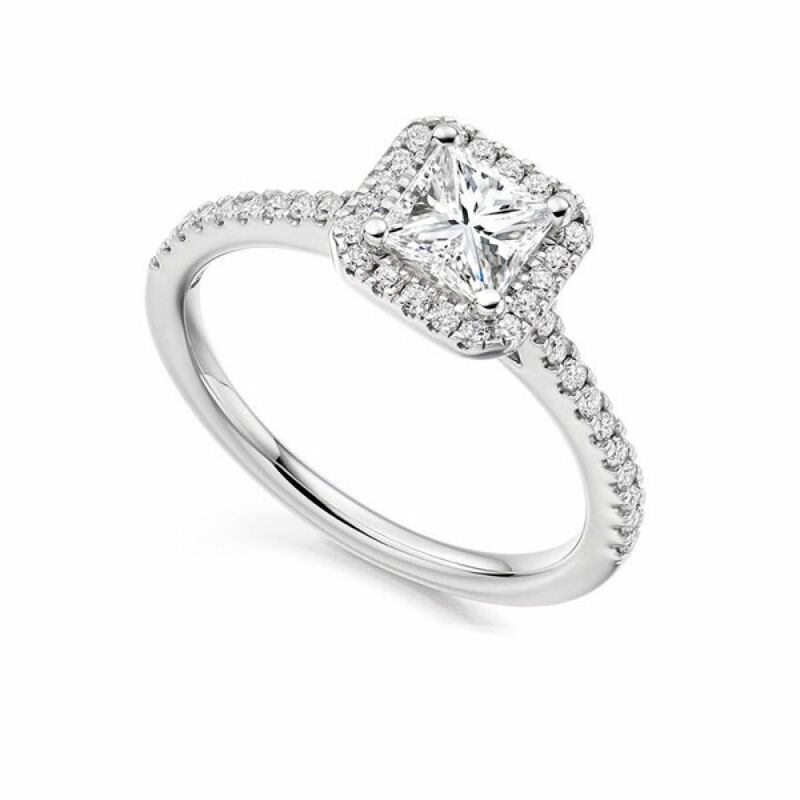 Princess Cut Diamond centre-piece framed by an additional 0.40ct halo of matching hand-selected Round Brilliant cut Diamonds extending down the shoulders of the court profile band. Beautifully positioned above daylight shoulders allowing the light to flood through ensuring every stone glows with fire and brilliance. We have selected a 0.71cts E Colour, VS1 clarity, Excellent Polish and very good symmetry, GIA graded Diamond which has Canadian origin, giving you peace of mind that the Diamond has been ethically mined and you can have full confidence in this most beautiful Diamond ring. 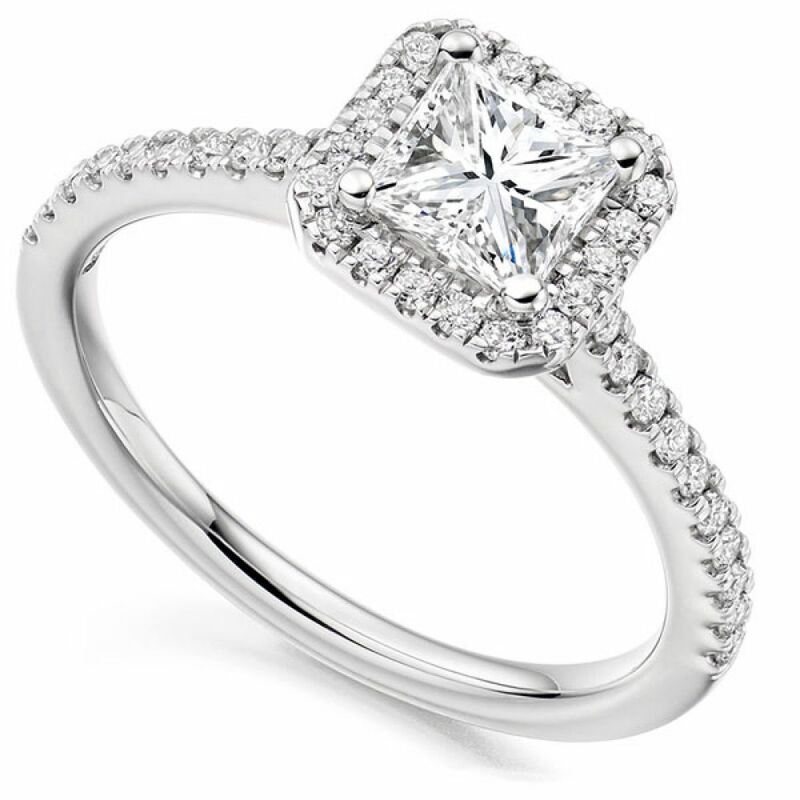 We have both the ring design and the Diamond ready for setting, therefore the ring could be delivered to your door in our unique packaging within around 10 days. As the Diamond is not currently set, this allows you to choose an alternative design if you prefer a different ring mount.